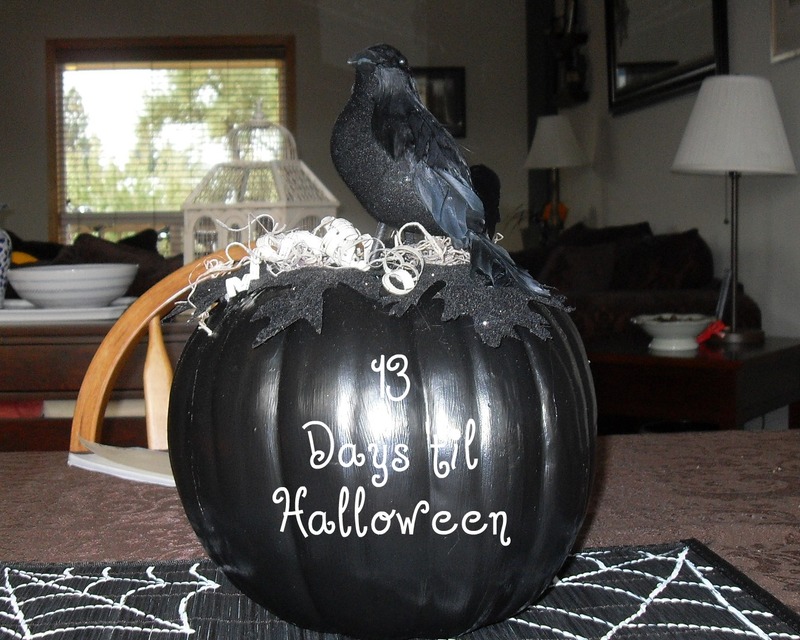 Last year I made a fun Chalkboard Pumpkin for counting down the days until Halloween. 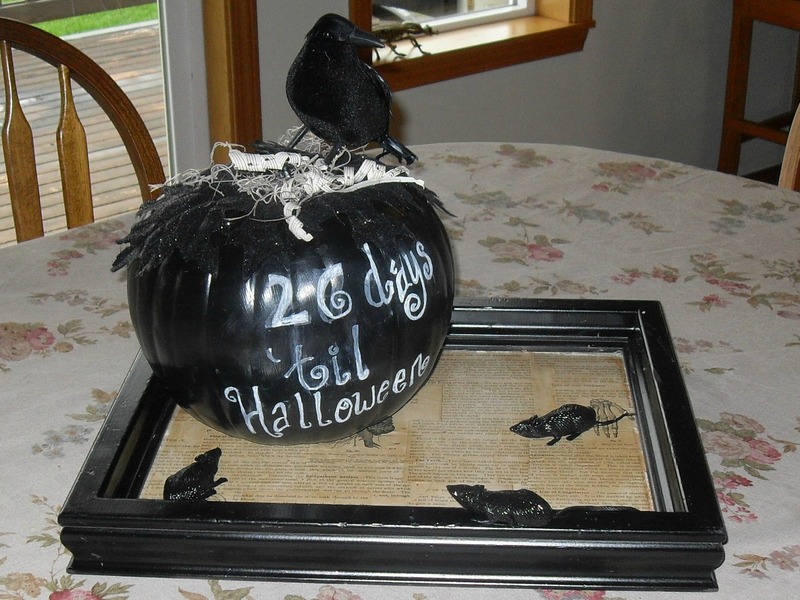 Addie had fun counting the days down last year, so we brought it back out, but with a new display tray. I used an old picture frame from Goodwill ($1.99) that I spray painted black. It's 3" deep so it can easily hold my pumpkin, and stretch rats. 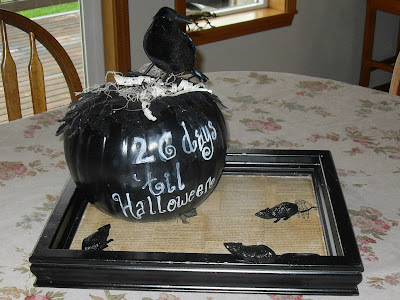 It can also be picked up easily by the kids when they set the dinner table--very important that the display NOT be on the table for dinner, but is NOT ruined in the process of moving. 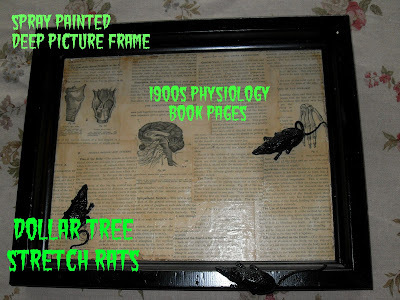 To match my deluxe coffins I decoupaged the back of the frame (now the bottom of my tray) with pages from the 1900s physiology book I found. Perfect!